If Clermont County leaders sign off on a lodging tax, FC Cincinnati's training facility in Milford could look like this when it's completed at the end of 2019. 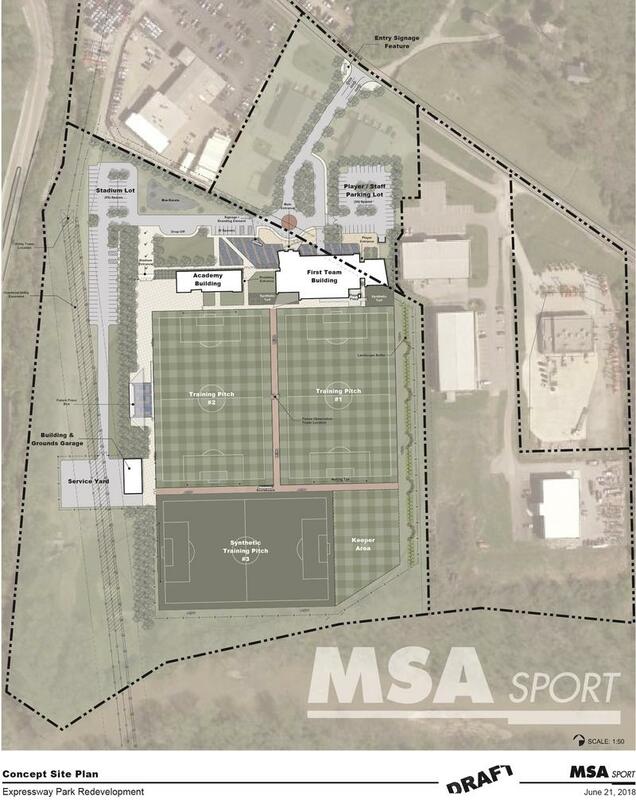 The club wants Milford's Expressway Park to host a training facility and soccer academy. The team wants to build a new facility on what is now a softball complex. The land is for sale. 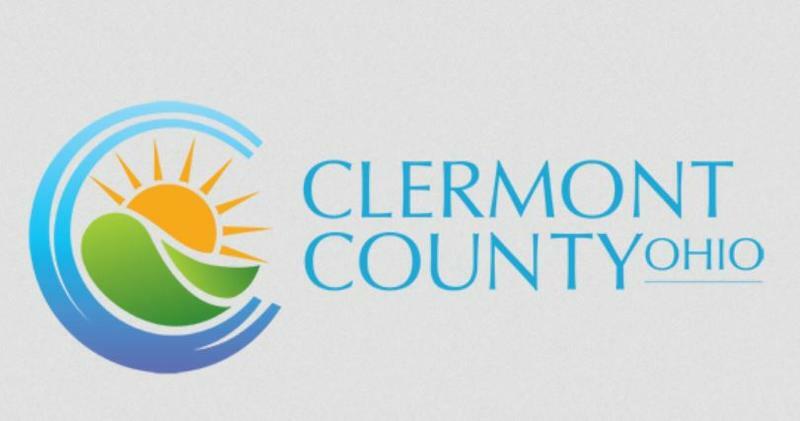 The city council has been courting the team and the Clermont County Convention and Visitors Bureau is enthusiastic about the possibilities. Bureau President Jeff Blom says Sports Development Research looked at the economic benefits to Milford and Clermont County. "The practice facility alone is anticipated to generate $1.6 million, which is a very impressive number," he says. "When you add in all the tournaments and all the showcases and future activity, you're looking at an overall number of almost $6.8 million." The bureau is pushing for an increase to Clermont County's lodging tax. Commissioners are specifically being asked to raise the 6 percent tax to 7 percent. The money would be transferred to Milford to pay off the bonds originally used to buy the land. The Clermont County Port Authority would own the property and the club would rent the land for the $30 million facility. Chris Hicks of Union Township has a lot of questions about the deal. He's calling for an open and transparent process. "I don't see a lot of detail on the actual debt, on the actual property cost, on how the tax dollars will actually be used," he says. "Infrastructure needs around the facility; nothing about that. 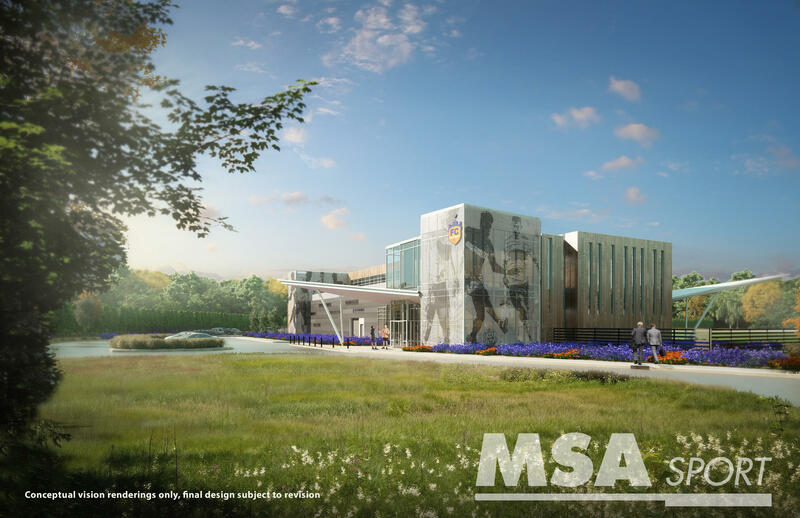 Nothing about the services impact that might be required, (like) police and fire; other things to support the facility; the impact on residents... Those are important considerations too, and we shouldn't rush." 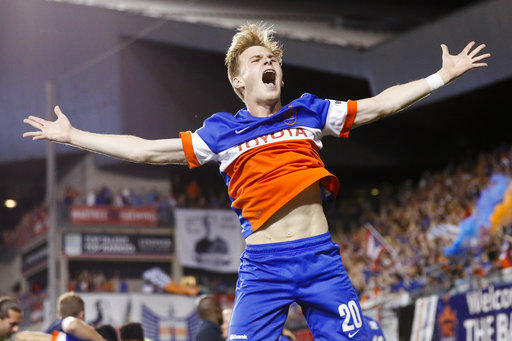 FC Cincinnati's Berding says the increased lodging tax won't affect local taxpayers much. "Taxpayers in the region really aren't contributing toward this," Berding says. "This is an economic development and tourism (project). Teams are going to be coming in from all over to play in our academy. Those hotel dollars, that extra one percent is what goes toward this. No taxpayers are on the hook for the bill whatsoever." The club chose Milford, in part, because it lit up their "heat map." It's near the area where lots of good players are coming from. The training facility will include an academy to teach soccer fundamentals and increase skills, and is expected to host to soccer tournaments. Attorney Louis Solimine told commissioners his client, Cincy Sports Nation, wants to work with FC Cincinnati, but doesn't want to be at a disadvantage. While hotel operators and the Convention and Visitors Bureau are enthusiastic about that prospect, a nearby business is concerned about unfair incentives. An attorney representing Cincy Sports Nation (CSN) says government shouldn't pick winners and losers. Louis Solimine says his client owns an indoor sports facility with soccer leagues and wants to collaborate with FC Cincinnati. 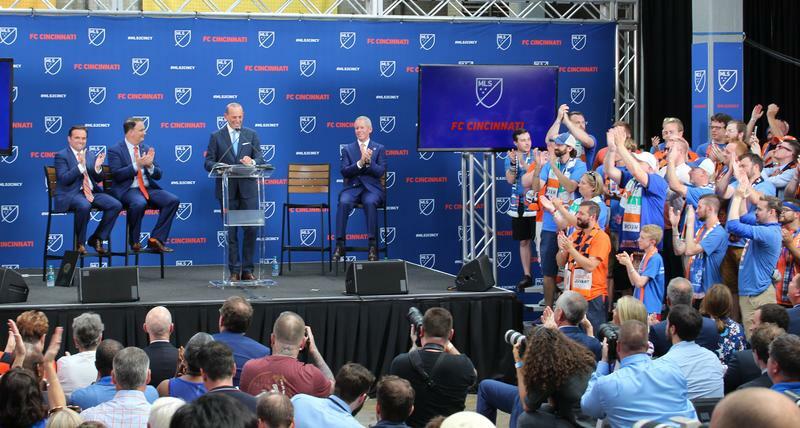 "The way that can be done is to get assurances, and we're asking FC Cincinnati for those assurances," he says. "That they will not install any bubbles over their practice fields, that they will not build and install an indoor turf field, and they won't rent their facilities to the general public." Solimine says if those conditions are met, his client won’t face "the possible devastating consequences of trying to compete with a government subsidized competitor" and can live in harmony with the club. Berding says club representatives want to talk with CSN and tour their facilities, but says the concerns about competition are not significant. "We're a professional team. We're not doing recreational sports. We're not interested in renting out to the public. We're not going to have an indoor facility," he says, adding that CSN could benefit when the club brings in tournaments. 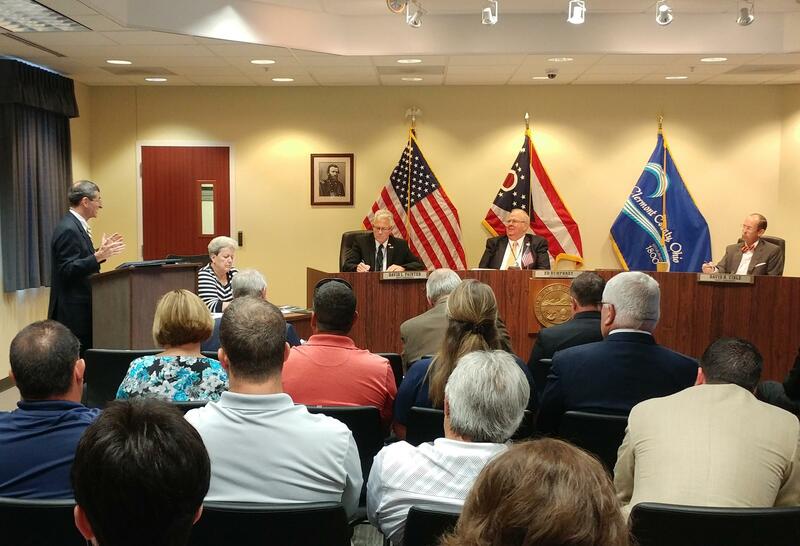 Clermont County commissioners do not have a vote scheduled on the proposed lodging tax increase. A county spokesperson says they will likely have to call a special session. Update 6/28: This story has been edited to reflect commissioners are being asked to increase the lodging tax and are not where the request originated.